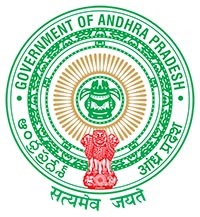 AP 10th class Results 2019 Andhra Pradesh SSC Results will be available at manabadi.com. Check AP SSC Results (CLASS X), ap 10th results 2019. Directorate of Government Examinations, Andhra Pradesh has successfully conducted SSC public examinations in the month of March 2019. Those candidates who are appearing for AP SSC exam 2019 that will able to check their result by the Fourth week of april 2019. Students can able to get AP SSC 10th board exam result 2019 that is from the online right way. In order to check their result you need to use their roll number. Ap ssc Results 2019: Ap Board also known as the board of secondary education of Andhra Pradesh and director of government examinations. It is found in 1953 and this main headquarter of AP is located in Hyderabad. No worry about that they AP board which is famous board in the Andhra Pradesh state. Moreover, this board contain thousand number of government, private school and institution are also affiliated it. The main objective of this AP board provides a quality and best education for all students. This board also conducts on two main exam 10th class and 12 the class both examinations are really made and most important to makes surely that clearly for these exams in the future point of view. Students who have to tolerate them and wait for their bright future, because AP board is going to implement Andhra Pradesh SSC results march 2019 that is more like to announced on last week of April. You need to view your result so you just click an official website link http://bseap.org. Where to check AP SSC Result 2019 or andhra pradesh ssc results march 2019? Students, who want to check their results first, can visit http://manabadi.com/andhra-pradesh. Andhra Pradesh board is conducting various exams are SSC student or class X student at every year. Currently, there are lakhs of students from over all the Andhra Pradesh appears into SSC examination at every year. Andhra Pradesh board SSC result is not fixed in date announced for the AP SSC result declaration 2019, because looking for past few years. Likewise, tentative data fall around in the May second week 2019. The final date is probably announcement out either few week or day before the result. So you have to maintain the constant check on our website that will also ready to have the final date. On the other hand, one-day result declaration is appeared by one lakhs students checking their ap 10th class results 2019 name wise in the official website. So you very pleasant to crash down there or slow run you to do heavy traffic on the site and then easy to view and download the result page. There are some steps to follow how to log in and view on their AP board exam result in 2019. AP 10th class Results school wise : Andhra Pradesh SSC Result With Subject wise Total marks, school wise, name wise results and merit list also available here. There are providing a simple process of login step by step procedure, you just filling up form with proving out your information such as name, role number, and date of birth, mobile number, email id, and location or even stream of your interested area. An ap ssc results from 2019 march month and then come soon announced Andhra Pradesh board 2019 result from an official site. After check ‘AP board 10th result 2019’ appeared in a web page. And then you can enter you roll number in required box. Andhra Pradesh board exam results 2019 announced in the official website with those students are checked and keeping visiting our web page for regular updates in AP board result in 2019. Students also get ap 10th class results through sms, email. Sir could u plz give us the date of status of ssc..! !